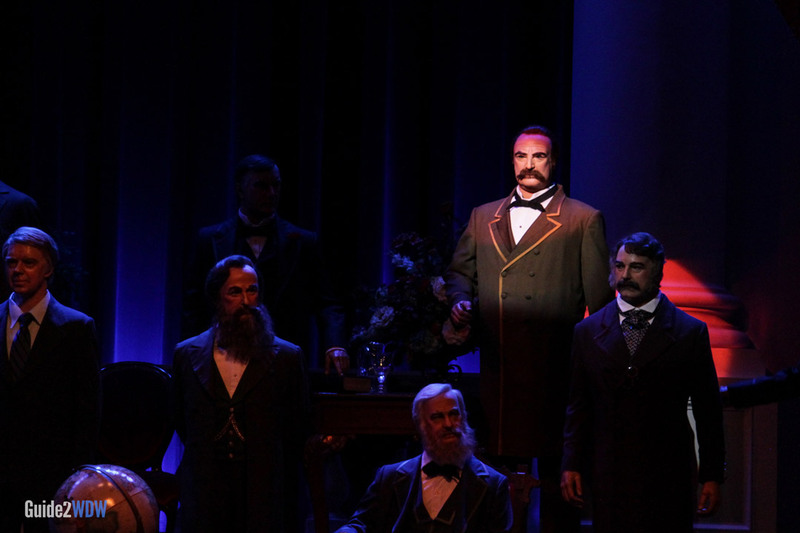 Sit in a room with the Presidents of the United States in this patriotic show. 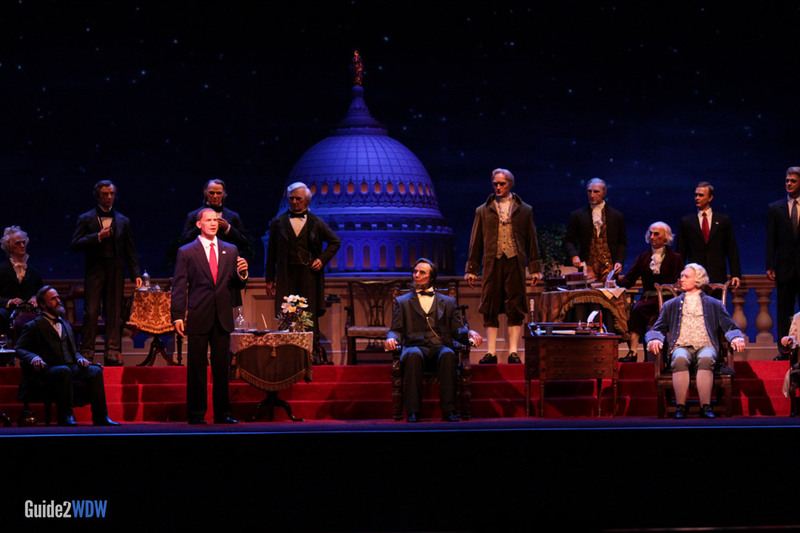 Narrated by Morgan Freeman, the Hall of Presidents is an educational show offers guests an entertaining look into the history of the executive branch of the United States government. 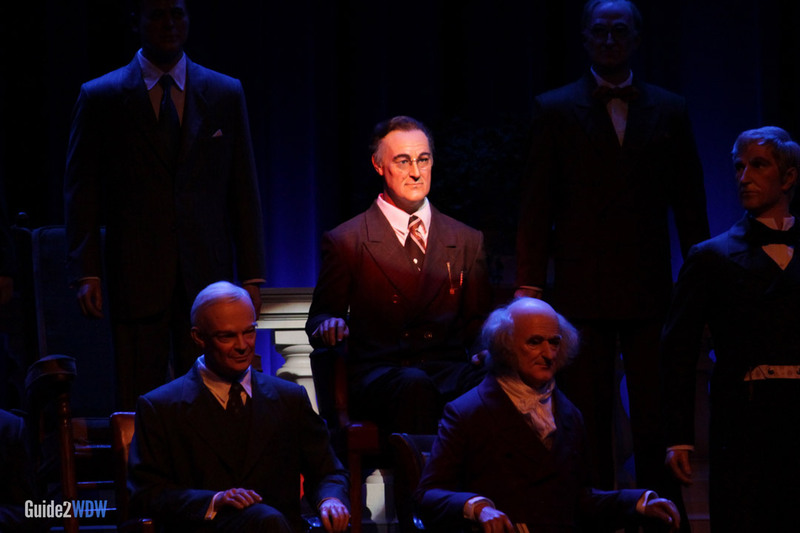 Every United States President is represented here in audio-animatronic form. 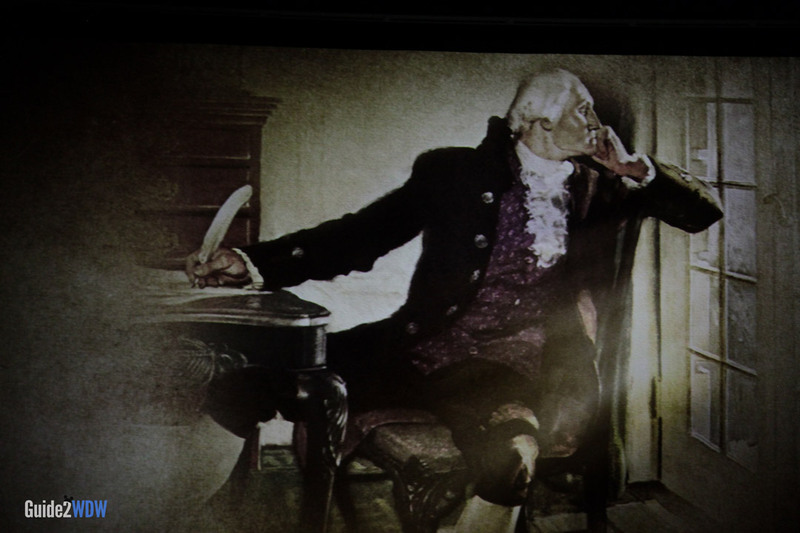 The show features a speech given by the current U.S. President, as well as speeches from Abraham Lincoln and George Washington. While this show is not as entertaining as The American Adventure in Epcot, it is definitely worth checking out either for a glimpse into history or for relief from the hot Florida sun. 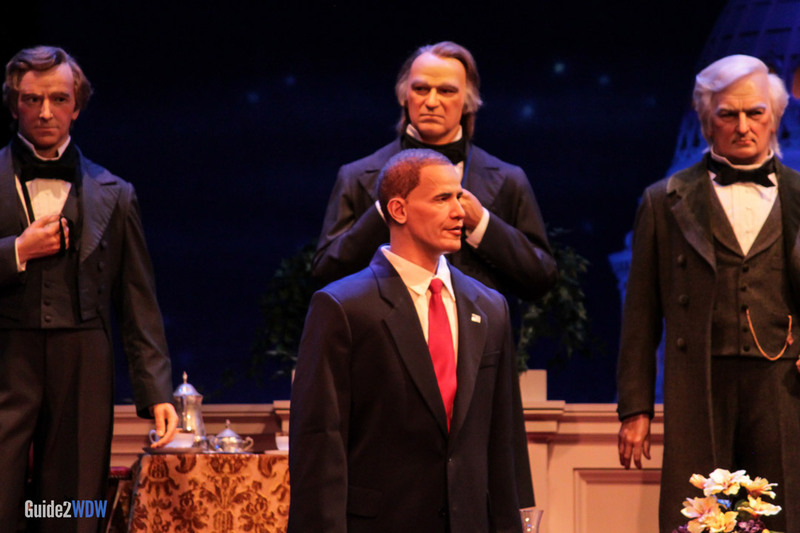 The Hall of Presidents show was recently updated to include an animatronic version of Barack Obama. At 23 minutes, this is one of the lengthier shows in the Magic Kingdom. It’s a good place to take a break and enjoy the air conditioning while learning a bit about U.S. history. 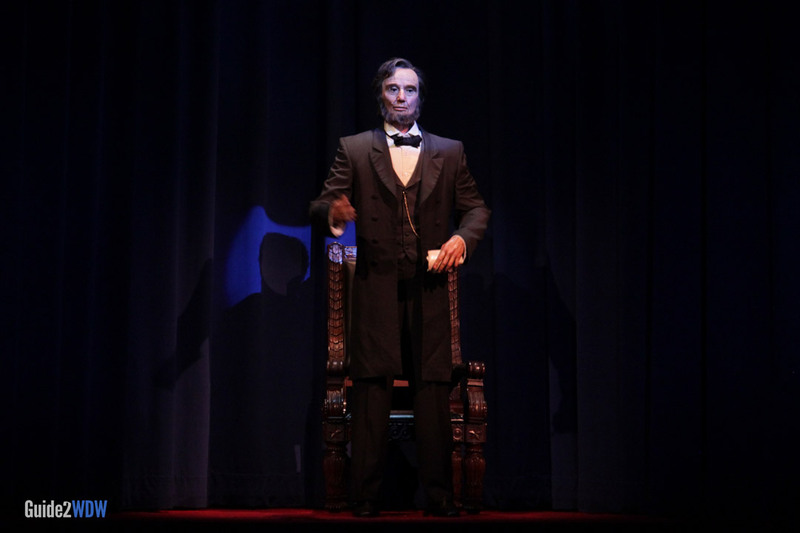 This show is somewhat of a spiritual successor to Disneyland’s Great Moments with Mr. Lincoln, which only features one animatronic President.